Prime Bank South Zone outfielded, outbatted and outbowled East Zone in the second round of Bangladesh Cricket League at Sylhet. 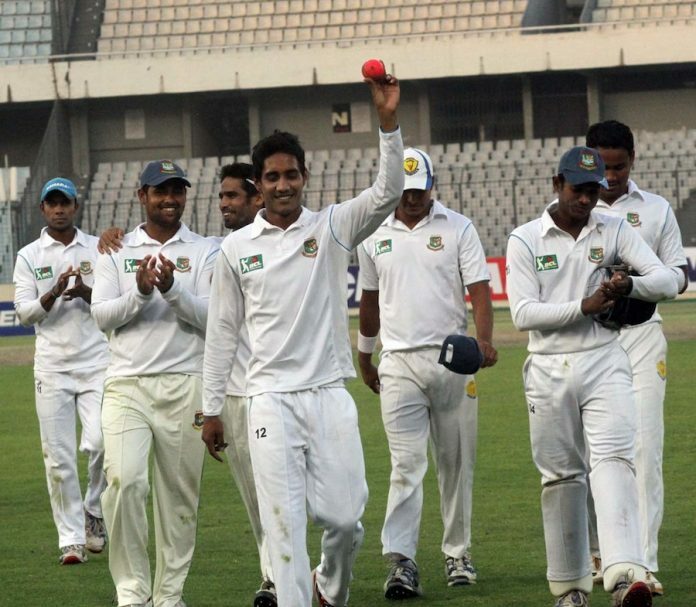 Abdur Razzak and Sohag Gazi broke the early batting by taking wickets rapidly, and East Zone were decisively defeated with more than a day to spare. On the third day East Zone mistakenly used defensive tactics when only bold methods might have cut loose South Zone’s hold. Abdur Razzak has taken 6 wickets and mainly led the destruction to bowl out East Zone by 215 runs. South Zone ultimately won the match by an innings and 44 runs. Similar trend has been observed in Chittagong as North Zone also beat Central Zone by an innings difference. Sanzamul Islam destructed the backbone of Central Zone as he clinched 9 wickets alone. Saif Hasan scored 93 runs for Central Zone in the first innings but apart from him, neither could able to put an impact. Nurul scored a century in the second innings but couldn’t able to capitalize due to the failures of his fellows. Central Zone got all out by 219 runs and lost the match by an innings and 50 runs.